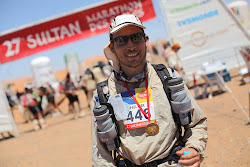 The Nike Tempo 2 in 1 running shorts got me through the mighty Marathon des Sables without any chafing and in complete comfort, so if you were expecting a bad review then you have probably come to the wrong place. If on the other hand you are looking for a really decent pair of running shorts then read on. 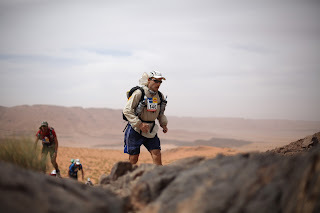 The Marathon des Sables is a 7 day race through the Moroccan Sahara in scorching heat, with competitors covering on average just under a marathon a day on rough terrain and sand. You need a pair of shorts that will keep you dry and prevent chafing, be comfortable and ideally not smell terrible after a few days of continuous use. I only took one pair of shorts with me for the whole 7 days, and although they did not smell fresh, I was surprised how little they did smell. Some running shorts are very brief, leaving you rather exposed to the world, but these shorts offer ample coverage. They consist of a compression short underneath and a second layer overtop for increased coverage. The compression short feels nice and silky and does not rub. It keeps all your tackle in place and the experts say that compression shorts aid performance by keeping the muscles warm and improving circulation. In the Marathon des Sables the compression short managed to keep out the sand, which tends to get everywhere. As with most proper running shorts you do not need to wear separate underwear beneath the shorts. The compression short serves itself as underwear. The short uses Nike DriFit technology to wick moisture away from the skin. This helps you to remain comfortable and dry and prevents chafing. I would highly recommend these shorts to fellow runners and sports people, and I will be wearing them myself in Trail Ticino and in any other ultra races I do in the future. If you do wish to purchase the shorts you can do so from the links on the right hand side of my blog. This will earn me a referral fee from Amazon. Please note that I will never recommend products that I do not like. For me, my moral integrity always comes first.